Labor Day weekend is the unofficial end of the summer season. If you’ve been thinking about selling your home, you may be wondering if you’ve missed the boat. Spring and summer are often thought of as the best seasons for selling your home. But don’t be discouraged! Fall can also be a great time to put your home on the market. Here are our best tips for making the most of your post-Labor Day sale. While spring and summer tend to have the biggest uptick in buyers, that doesn’t mean there aren’t people shopping for a home in the fall. Families with school-aged children may conduct their home searches while school is out of session, but there are plenty of potential buyers for whom the school calendar is a non-issue. Understand that the buyers you’ll see in the fall may be empty nesters, young millennials, or even people looking for vacation homes. If you tailor your marketing to those potential buyers, you’ll see better results. There are many people who love the fall season, so don’t be afraid to add some autumnal touches to your home. 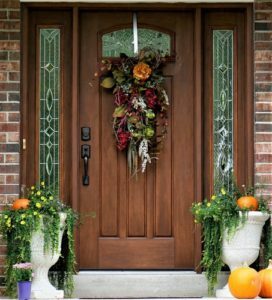 When sprucing up the exterior, display decorative accents like potted mums, pumpkins, or a wreath with fall colors. Inside, add tasteful decorations in warm shades, such as throw pillows or a cozy blanket for the living room couch. Simmer stovetop potpourri with fall scents like cinnamon and clove, or bake pumpkin spice cookies to make your house smell amazing. On chilly days, keep the thermostat at a comfortable temperature and serve up hot apple cider. One of the most important things to keep in mind when selling in the fall is to price your home accordingly. Take a look at comps in the area and discuss the best pricing strategy with your real estate agent. While some people believe that you have to price lower in the fall, that isn’t necessarily true. Your home needs to be priced according to market conditions, and a knowledgeable agent will help you determine what the best listing price should be. No matter the season, it’s essential that you spend time getting your home ready to sell. This includes de-cluttering, de-personalizing, and thoroughly cleaning the entire house. Make any needed repairs including fixing leaky faucets, repairing faulty light fixtures, and replacing all burnt out light bulbs. Your agent may also make other suggestions for upgrades to boost your home’s appeal. This could include making cosmetic renovations to a bathroom, replacing the flooring, or making energy-efficient upgrades. Paint rooms in neutral shades and remove any bulky furniture. Remember – you want potential buyers to be able to imagine themselves living in your home. Make it easier for them by giving them a comfortable, clean, and neutral environment. If you’re ready to put your home on the market, autumn can be the perfect time. Follow the tips above and you could be sitting at the closing table before the end of the year.